Many people mistakenly think that if they can't afford 100% organic, grass-fed ingredients that there's no point in trying the paleo autoimmune protocol at all. That's simply not true! While those ingredients are “ideal”, you can still see major health improvements shopping within your budget. In fact, research linking fresh vegetable intake to wide-ranging health benefits is referring to conventional produce. That's because studies look at the general population, and most people don't shop organically. Research also shows that the nutrition of conventional and organic meat and produce is similar. While it's true that grass-fed meats do contain higher amounts of omega-3 fatty acids, conventional meat is still a wonderful source of protein, B vitamins, and heme-iron (just like grass-fed). And while organic food means a lower toxin load (fewer pesticides, added hormones, and antibiotics), simply giving up processed foods and all the of the chemicals they contain is already a great headstart in this area. I'm not trying to talk anyone out of buying organic and grass-fed. It absolutely has added benefits. But if you cannot afford it, let go of any self-judgment, and know the AIP can still be a powerful healing protocol without it. Shopping organically doesn't have to be an all or nothing choice, either. Some people can afford to buy some things organically, just not everything. Others are on very tight budgets, but would like to avoid the highest-pesticide produce. The Environmental Working Group makes these choices easier. Every year, they test produce for pesticide residue and classify it accordingly. The Clean Fifteen are the 15 conventional fruits and vegetables with minimal pesticide residue. These are wonderful conventional choices, and avocado tops the list! The Dirty Dozen are the 12 with the highest pesticide residue. Those are best avoided if you can't buy them organically, with strawberries being the worst. And here's a great resource: the blog Real Food & Love has adapted these lists for the AIP. Tougher cuts that need to be slow-cooked, like short ribs, pork shoulder, beef brisket, stew meat, and beef shank. Unusual cuts that most shoppers don't know about, like beef merlot steak, pork top sirloin steak, lamb shoulder chop, and beef cheeks. Organ meats, which are the most nutrient-dense and highly recommended on the AIP. Chicken thighs, which are often overlooked in favor of the more popular and expensive chicken breasts. And bone-in is usually cheaper than boneless. Also ask your local grocery stores about their meat mark-down days. Most of them offer big discounts within a day or two of the “best by” dates. The meat is still good, but it's now also a good deal. Just pop it in the freezer when you get home, to keep it well-preserved until you're ready to cook it. Health tip: If you're shopping conventionally, buy lean cuts of beef since the toxins tend to be stored in the fat. If you're buying grass-fed, seek out the fatty cuts since they contain anti-inflammatory omega-3 fatty acids. Also get to know your local farmers and find out what cuts don't sell as well, and see if they'll sell you those at a discount. When I first went AIP back in 2013, there were almost none of these available, so I can tell you from experience they aren't a requirement for the protocol. Now, there are lots of AIP-friendly flours, spices, sauces, and snacks. And while that can be really nice, it's also expensive. If you're on a budget, this should be considered luxury spending. Prioritize your meat, seafood, and vegetable purchases before adding chips, sauces, protein bars, or baking ingredients. You can often make a full meal for a family of four (which includes grass-fed beef and organic vegetables), for less money than it takes to stock your pantry for a special AIP cake recipe. Canned Seafood: Inexpensive and shelf-stable, canned seafood is an excellent choice because it contains high amounts of omega-3 anti-inflammatory fatty acids. Salmon and sardines are two superfoods in this category, but other canned seafood like oysters and mackerel are excellent choices as well. The one canned seafood you want to avoid is tuna unless you can afford a low-mercury, high-omega brand. (Conventional tuna contains high amounts of mercury with a very small amount of omega 3's.) For added inspiration, here's a canned seafood recipe roundup. Frozen Vegetables: There's a misconception that fresh vegetables are more nutritious than frozen. This isn't true. Research has found no significant differences. In fact, some frozen vegetables are slightly more nutritious than fresh (broccoli for example). So, compare prices and buy whatever's cheapest at your local store. Bulk Dried Herbs and Spices: These are sold in the health food stores, and they are significantly less expensive than spices sold in jars. You can buy small amounts of a wide variety of AIP-friendly options, and have a lot of varied flavor in your meals without a big expense. Produce is much less expensive when it's in-season in your area, rather than being shipped around the world to your local store. Seasonal eating also deepens our nutrition, because every food has a unique nutrient profile. 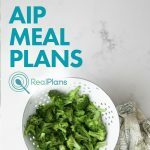 The AIP isn't just about the foods we remove. The more variety we eat within the AIP template, the more we feed our cells for health. Let the prices in your grocery store guide you. Also, did you know that lots of fresh produce never makes it to the grocery store, just because it looks a little funny? There's nothing wrong with it – it's just as nutritious. It's just not considered “sellable”. There are now companies saving these fruits and vegetables from being thrown away, by selling them direct to consumers at a discount. Here are three of the larger distributors in the US: Imperfect Produce, Hungry Harvest, and Misfits Market. 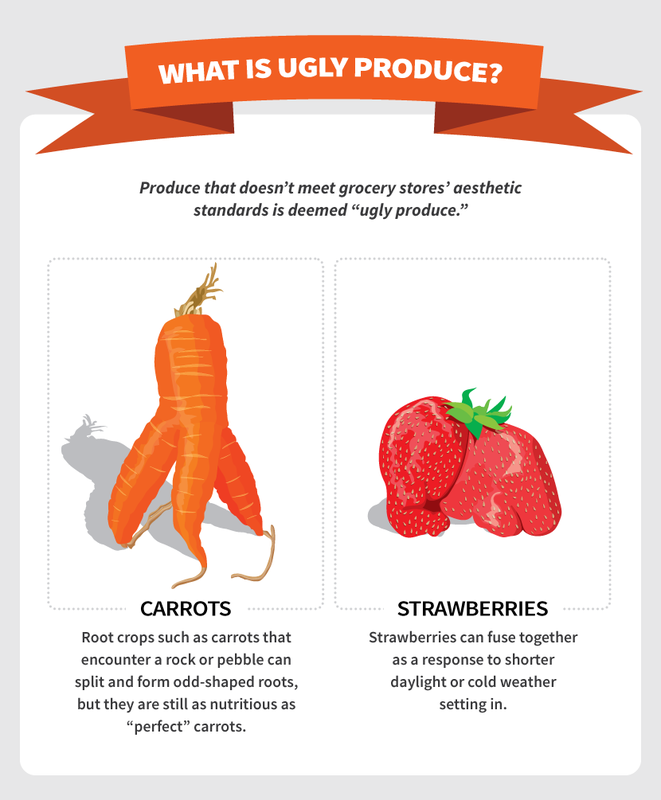 Supermarkets are joining in as well: Kroger plans to introduce an “Ugly Produce” brand in 2019. Instead of planning your meals in advance and being tied to specific ingredients, go to the store first and plan your meals around what you find on sale. For your grocery list, estimate how many pounds of meat, seafood, and vegetables your family eats in a week, and which pantry staples need replenishing. Then let the store sales guide you from there. Most stores post their weekly sales flyers on their websites. To get the best bang for your buck, you might need to spread your shopping over multiple stores. After a few weeks of doing this, you may also get a sense for which store tends to have the lowest prices overall. Take notes as you shop, and compare. Lastly, if you have an Asian market, Mexican market, or other ethnic food stores in your town, definitely check them out. Their prices are often much lower. Here are some bloggers who have researched AIP offerings at some of the larger discount grocery chains: AIP Costco, AIP Aldi, and AIP Grocery Outlet. Bone broth is a healing food recommended on the paleo autoimmune protocol, but you don't need to buy bones separately. Any time you cook meat with a bone (which is often less expensive than boneless meat), save the cooked bones and put them in the freezer. When you have 3 lbs, you're ready to make some broth. For whole chickens, save the carcasses; two is perfect for a batch of broth. With fresh vegetables, many of us throw parts away that are actually edible. I never realized leek greens were edible until I saw this recipe. Since then, I've learned most vegetables are edible in their entirety, and often the parts people throw away are actually the most nutritious. When cooking beets, be sure to slice and include the stems; then at the last minute, toss in the rinsed greens. It's a great flavor combination, and my body seems to digest it better as well. (Nature is wise that way). Turnip greens are a southern classic, delicious cooked with bone broth and bacon. Radish greens are edible as well. Carrot tops make a great pesto. Strawberry tops can be used to infuse water. Turn broccoli stalks into this delicious soup, or simply slice them thinly and cook the same way you cook your florets. When you make cauliflower rice, pulse the stalks as well. Kale stems are pretty tough, but they can be nutrient-dense additions when making bone broth. Whenever you're cooking vegetables, try to find a way to use the whole thing. Lastly, if you are able to afford some fatty grass-fed cuts of meat, save the fat left in the pan after cooking. It's delicious when used to roast vegetables, and it's free! Retailers always buy their products wholesale; that's how they make a profit. 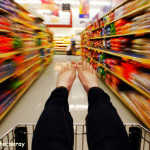 But creative consumers have found a way to do this as well by shopping together. For example, grass-fed farmers will often give a discount price if you buy a 1/2 pig or a 1/4 cow. (Don't worry – they give it to you in a wide variety of cuts!) That might be too much meat for your budget at once, but if you purchase with a friend or group of friends, you can share the meat and the discount. This is also an option with salmon during the fishing season. Many fishermen and women sell direct to consumers through coordinated town deliveries. Here's an example of one in the Southeast US and another in the Northeast US. Use Google to find one near you – just type in your town's name + “salmon buying club”. Lastly, Azure Standard sells health food store products at discount prices: everything from pantry staples to fresh and frozen produce. They also use coordinated town deliveries and have drop locations throughout the US. To take advantage of group discount options, you'll likely need a chest freezer (unless your friend has one). Check your local Craigslist or Marketplace on Facebook. You can often find one used, but even at retail it pays for itself over time. This also allows you to stock up when you find things on sale at the regular grocery store. Storage tip: Things can get lost in a chest freezer. Write the date on each package when you first freeze it, and always rotate the old stuff to the top, and put the new purchases on the bottom. SNAP stands for the Supplemental Nutrition Assistance Program (formerly food stamps). In 2017, $24 million in SNAP benefits were redeemed at farmers markets across the US. If you are a SNAP recipient, check your local market to see if they participate. Many farmers markets even match your SNAP benefits, doubling the amount of produce you can purchase. CSA stands for community-supported agriculture. It's a cooperative endeavor between a farm and its customers. You buy a share of the harvest in advance and get a box of fresh produce throughout the growing season. However, many farms also offer options for people on limited budgets. For example, if you can't afford the CSA fee, you might be able to volunteer your time instead. Depending on your health issues, traditional farm labor might not be an option, but farms have many other tasks as well. One example would be staffing the pick-up locations for those weekly deliveries. If you live in the US, check out Local Harvest to find farms near you. Lastly, some health food stores are actually Co-Ops. What does that mean? They're member-owned, and if you're willing to volunteer your time, you can earn discounts. Here's a directory of health food co-ops in the US. The cheapest food of all is what we gather or grow ourselves, and those activities offer other health benefits as well: time in the fresh air and sunshine, the microbe benefits of playing in the dirt, the stress relief of spending time in nature, and the joy and satisfaction of growing and gathering our own food. When it comes to gardening, you can start small with an AIP-friendly herb garden. They're some of the most nutrient-dense and flavorful foods. If you have a patio or deck, you can do container gardening. And if you have a yard, you can branch out further. If you're an ambitious gardener and end up growing more food than you can eat during growing season, the National Center for Food Preservation can teach you how to freeze, dry, and can it for winter. Foraging can be especially fun. It's like a nutrient-dense scavenger hunt. Here's a great article from The Paleo Mom: Wild Edibles: Superfoods in Your Own Back Yard. There's also a specific type of foraging called “gleaning”. It's the art of harvesting wild places, public places, and overlooked places. There are organizations in the US, UK, and Canada that glean farm fields after the harvest is complete, because many vegetables are left behind that aren't considered good enough to pick. And Falling Fruit is a crowd-sourced, worldwide map of public fruit trees, wild plants, and city gardens. I typed in my zip code, and it brought up 8 locations including muscadine grapevines and wild asparagus! The paleo diet is based on the healthy lifestyles of our hunter-gatherer ancestors. In addition to the gathering resources above, if you have hunting and fishing skills, use them! If you've never gone before but have friends who do, sometimes they get more than they can eat and are happy to share. Venison is one of my favorite meats, and I would never know that if it wasn't for my hunting friends. Interestingly, when it comes to money, most people feel they don't have enough, no matter how much money they earn. That's because there are always choices to make among the wants and needs battling for our dollars. That's why budgeting isn't just practical, it's psychological. The first step is looking at where we are spending our money now, and the next step is deciding where we want to spend it going forward. It's financial mindfulness, and it brings us back to the quote that began this blog post: “It's not about having it all. It's about having what you value most.” Autoimmune health is priceless, and the food we eat can have a dramatic impact on our autoimmune symptoms. For many people (myself included), going AIP doesn't always increase the food budget. That's because unhealthy food can be pretty expensive, too. Prior to developing rheumatoid arthritis, I spent a lot of money on restaurant meals, take-out, coffee shops, snacks, and convenience foods. 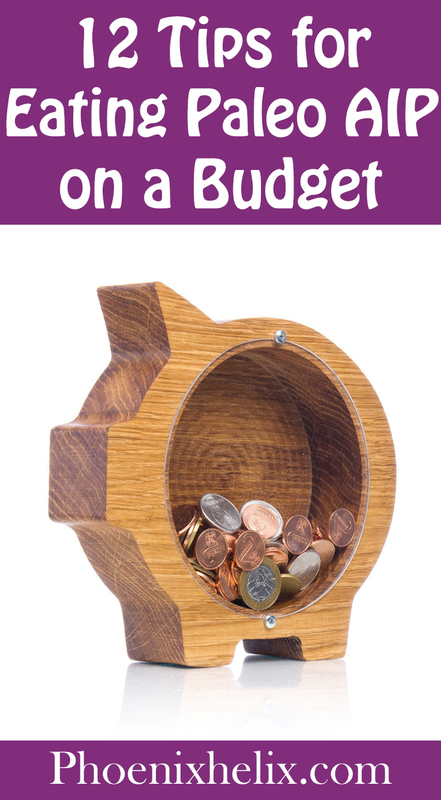 All of that stopped when I went AIP, so my budget stayed the same – I just spent my food dollars more nutritiously. There's also the potential for savings in other areas, like medical expenses as your health begins to improve. That said, I definitely have readers who are living in dire financial circumstances. You may be disabled, unable to work, and living on public assistance. I wrote this article for everyone, but especially for you! And I understand that it's much harder for you. 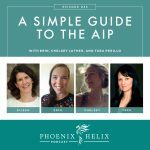 Here's the inspiration for doing the AIP when you are exhausted physically, mentally, emotionally, and financially: The AIP has the potential to improve all of these areas of your life. I've been honored to meet thousands of people with autoimmune disease through my blog and podcast, and I've heard so many testimonials from people who started at rock bottom and reclaimed a beautiful life. Some were bedridden when they started this protocol, but they felt they had nothing to lose. The improvements didn't happen overnight, but they did happen, and slowly they got of bed, regained mobility and energy, and were able to become active again. This increased not only their wellbeing but their finances as well, because their medical expenses decreased, and they were able to work again. 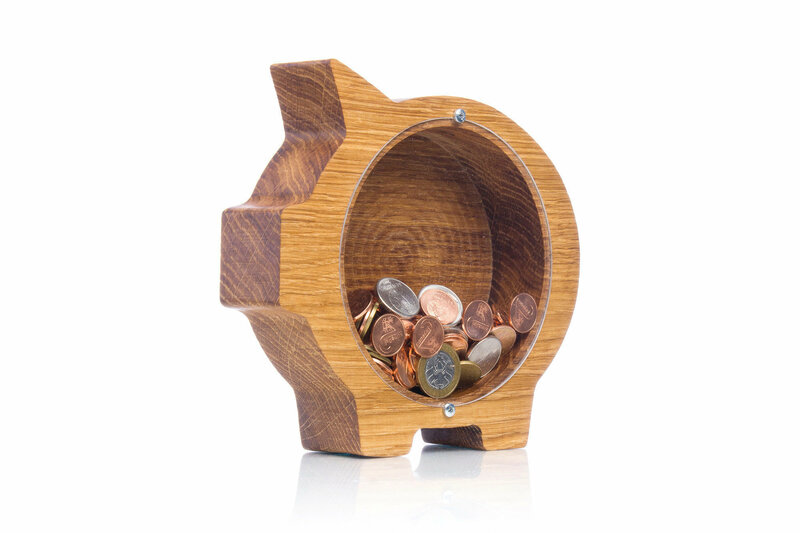 Piggy Bank Image: The cute piggy bank at the top of the post is actually for sale through Etsy. The artist – Dmittri of WoodPresents – gave me permission to use it in this post. You can buy it here. Special Thanks: to my Facebook community, who gave me a lot of these ideas when I posed this question to them.